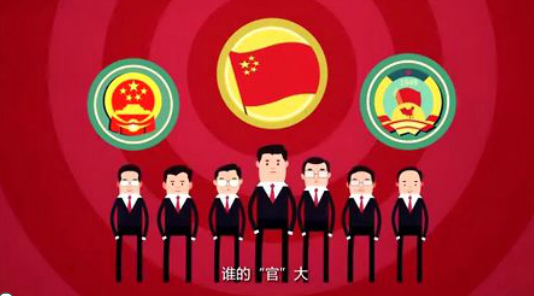 To get to know Chinese politics, first get to know the officials level! Do not look boring textbook, One Reading Eagle to easily tell you: are national-level and sub-national level leadership than you imagine; call party secretary, the difference may be several levels; rather appears to be local leaders, in fact, central leadership ..
Sanya Chen Qingzu went home, opened the door as if to a lingerie store. On the walls, the ceiling is full of all kinds of women bra, up to 5000 number, and these dizzying “collections” girls from more than 30 colleges and universities nationwide. What he wants to do this? Many people I understand, the more strange speculations. That year, he came close to being as “underwear collection addiction,” the police. Later on, a lot of girls take the initiative to help him collect underwear. November 2013, a strange scene in Sanya Victory Road – a man wearing a bra Chuanjiezouxiang Pentecost, that person is Chen Qingzu. He reminded the public in such a way to prevent breast cancer. Chen Qingzu Sanya is an ordinary but a small businessman, but it is well known civil public cliff town of people, has a small miniature welfare dream. April 17 , concern network Pushing Hands秦志晖( screen name : Qin Fire Fire ) alleged defamation , a case of trouble , the Beijing Chaoyang District People’s Court sentenced the third open court . Court for libel and sentenced to imprisonment for two years Qin Zhihui , to disturb the crime sentenced to 1 year and 6 months , decided to implement three years in prison . He was last year , ” two high” since the introduction of relevant judicial interpretations , the first convicted of acting in the network . During the hearing on April 11 , the ” Qin Fire Fire ” pleaded guilty in court , prosecutors charged recognized , acknowledged fabricating ” the former Ministry of Railways lose € 30 million foreign visitors ” and other rumors , and the victim Luo Yuan , Zhang Haidi , who apologizes . August 2013 , Beijing police, police destroyed a deliberately spread rumors on the Internet, malicious infringement of reputation , the economic benefits of the network illegally seized promoter company – Beijing Erma Interactive Marketing Planning Co. , arrested Qin Zhihui ( screen name “Qin fire Fire ” ) , Yang Xiuyu ( screen name ” Li two split four ” ) and two other members . Police found in the survey , Qin Yang , who has planned a series of network manufacturing hot events , attracting fans to make their own network quickly became a celebrity . Such as the use of ” Mei-US events show off their wealth individuals ” deliberate hype, made ​​up some local civil servants were asked to contribute to the Red Cross must rumors , malicious attacks and rescue system in China’s charity and famous military experts , senior media reporters , celebrities and society Some ordinary people as a target of attack , the malicious rumors to discredit slander . July 23, 2011 , Ningbo-Wenzhou Railway happen ” motor car rear-end ” after a major accident ,秦志晖posting a message on his micro-blog, said the Chinese government spent 200 million yuan astronomical compensation for foreign travelers , just two hours after the microblogging is forwarded 12,000 times, while fans Qin increased more than 1,500 people . Qin Zhihui confessed to police investigators , his philosophy is: users must incite emotions and feelings, in order to honor those who have won a lifetime , for a lifetime of accumulated wealth overnight destroyed. When秦志晖was arrested , the deputy director of a company community department , responsible for network marketing, publicity. According秦志晖confession, Qin had considered themselves ” preliminary famous,” many netizens also called ” Ballad turn China ” on its micro -Bo fans million, or even individual fans in the “big V”. Qin Zhihui a name last used the ” JAC Qin Fire Fire .” According to police preliminary statistics , from 2010秦志晖registered microblogging start date, Qin rumors and transfer rumors totaling about 3,000 pieces of information . According to police investigators , Qin Yang , who formed a network Pushing Hands team , together with a small number of so-called ” opinion leaders ” organized network “Water Army” long-term online concocted false news deliberately distort the facts , create disturbances , confusing right and wrong , and to delete postings to help people ward off evil , IP address , etc. Contact for illegal profit- seriously disrupted the network order , their behavior has been suspected disturb the crime , illegal business . Prosecutors believe that Qin Zhihui fabricated facts libelous spread on the network , resulting in adverse social impact , seriously endangering the social order ; fabricate false information spread on the Internet , creating disturbances , causing serious disruption of public order . Their behavior has violated the criminal law , should be libel , disturb held criminally responsible . April 10, Guangzhou City, Guangdong Province, Tian Hui doctors who draw lines in preparation for surgery to remove her breast injectables. Her Long’s “chest” is not only went back, and went to the stomach, and other parts of the abdomen and perineum hand can flow directly to the “chest” from the stomach to really push the chest position. 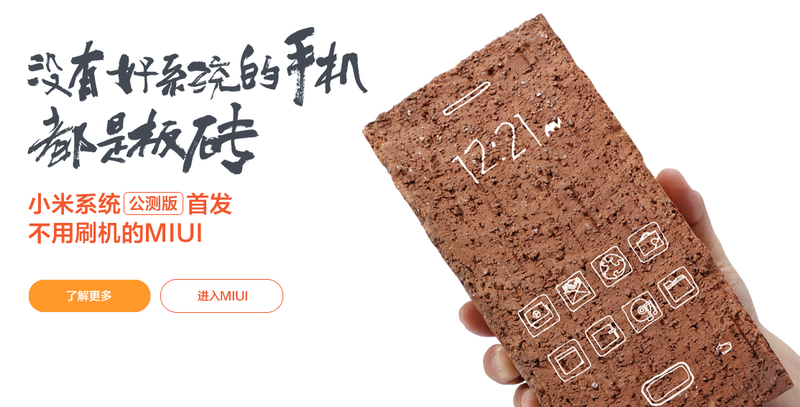 Millet today officially open beta ” millet system “, known without brush machine MIUI. Although previous millet also launched a similar Launcher ” millet Desktop “, but the degree of integration of the launch of the” millet system “to be deeper than just replace the original Launcher, and the deep integration of the MIUI native desktop, dial-up, contacts, text messages, and more importantly cloud services.